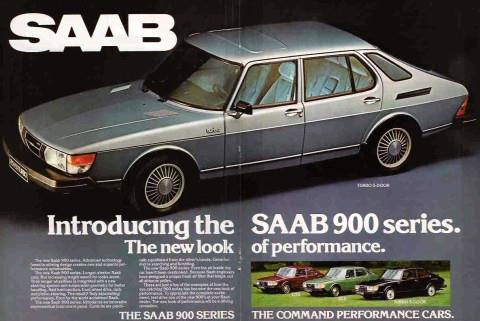 The Saab 99 pictured above is similar though not identical to one of 2 Saabs I looked at as used cars for my first car purchase back in the 1980’s. 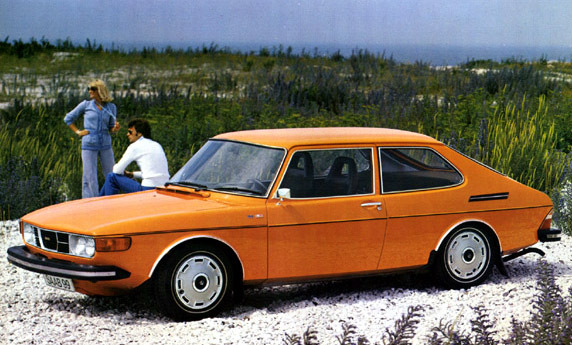 If I recall correctly I looked at 1972 and 1974 Saab 99’s, one yellow, and one orange. Both of those 1st Saabs I looked at buying were the 4 door variants rather than the combi shown above. One of the other Saabs I looked into buying and test drove, though too new and expensive for my first car budget was a newer Saab 900 GLE or Turbo, though I recall it being a 5 door and cardinal red, I can’t recall with certainty whether it was a turbo or non-turbo, and which Saab wheels it sported. Whatever the case, these images are representative of the cars I looked at for my first purchase. 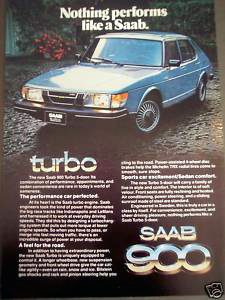 I recall not wanting to bring the later model Saab I test drove back to the used car dealer that was crazy and kind enough to trust a teenager like me with it. It was a car I fell in love with and wanted to own and drive quite badly. Alas, these were not to be my first car. Finally I come to my dream and the post title. Last week I awoke from a dream that the “present day me” was somehow contacted by a (fictional) person, not someone I actually am acquainted with in real life. This person, I think his name was Dave, as if the name of an imagined person in a dream matters, reminded me that I’d purchased one of those first Saabs I looked at, the yellow one, to be specific, and that I’d paid in advance for a total restoration of the car, and now, nearly 30 years later, the car was ready for pickup! I am not posting on this blog as often as in the past, but I am still a die hard Saab fan, and wistfully think that we may never have cars I adore as much as the 7 Saabs we’ve owned, 4 of which are still here. But this dream had me believing that there were 8 Saabs we’ve owned, one of them a classic 99 in a classic 1970’s color. I could not believe how excited I was in this dream and when I woke up, thinking that we had another classic Saab to love. A little bit of reality mixed into the dream was of my idiot brother, a mechanic, meeting with me and the person who restored this dreamy Saab of mine, telling me and the Saab mechanic that Saabs are notoriously unreliable. My well intentioned brother hammered into my head that every car I bought was bad, save for those I purchased later in life that were more in line with his liking, such as American made cars and trucks, which by the way, in reality, were far less reliable than the Saabs we’ve owned and quite dreadful vehicles. The Saab mechanic and restorer in my dream laughed at my brother with me, not unlike the real life mechanic friend of mine back in the 1980’s who asked “who the hell worked on this car?”, later adding “Don’t ever let him work on your car again!” (after my brother tuned up and royally screwed up one of my Volvo’s). My brother’s tune up had my Volvo which WAS running fine before the “tune”, barely running, gasping and sputtering. From that experience (my first tune up with my brother) I learned both how to and how NOT to tune a car, adjust valves, etc. But my dream was just a dream, and seemed odd to me to be dreaming of old Saabs, though if you know me in real life, not so strange nor my first dream about Saabs. I want for nothing more these days, practically speaking, to hear that the people of Trollhattan have jobs again and are designing building something. Heck if it isn’t turbo charged cars, or electric cars, let it be something, anything. I agree with Tim from SaabsUnited.com that whatever they build it would be world class. So this is what a Saab fan like me dreams of; discovering that we own yet another Saab that allows us to keep on driving these amazing machines for years to come. As much as I admire the new features of more modern cars and still to this minute dream of buying one of the remaining new Saab 9-5’s in our area, with the high tech features and most modern safety, I still lust after a simple older car like the Saab 99. 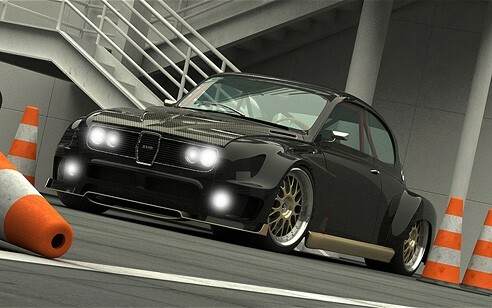 I’m thinking I will always be a Saab guy. Best wishes as always to the people of Trollhattan for their decades of work for the brand being rewarded with new and stable jobs… and SOON!!! !